How to make sure you are buying correct lenses? Step 1: find the SKU of your glasses on the frame,or you can contact us for more information. Step 2: our description will show you the type, if the SKU of your glasses is one of them, the lenses will fit. 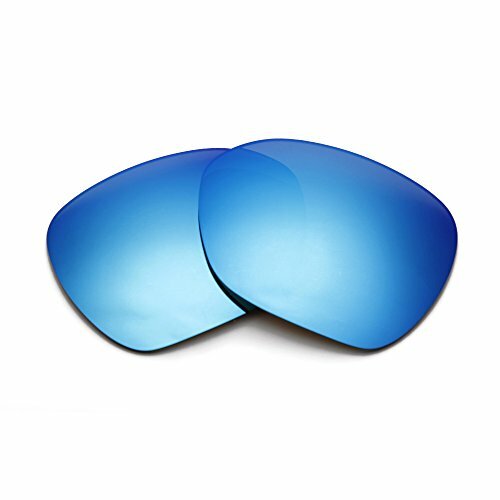 1.Unique View Tint Technique: With upgraded layer coating, each lenses of colors will offer different view tints which is comfortable for eyes under any environment, and also keep the original nature colors vivid. 2.Coating with oil resistant layer, you can easily clean the oil, dust or acidic molecules on the lenses' surface by softly wiping, with no brightness weaken. Disclaimer: OKYANIS lenses are designed to fit for Oakley sunglasses. OKAYNIS is NOT affiliated with Oakley Inc. Any usage of Oakley trademarks is only to describe those products. The premium quality material gives comprehensive polarized protection against UVA, UVB, UVC rays, and other harmful light. OKAYNIS® Repel Coating: Impact Resistance; Oil; Water; Sweat; Dust Repellence. Impact Resistant-Passed Drop Ball Test. Polarized lenses blocks 100% of glare-causing horizontally oriented light, and enhances contrast perfectly. Package: each pair lenses include fibre cleaning cloth and compatible size of hard protection case.